Inter-Korean rapprochement in the run-up to and aftermath of the Winter Games is providing a temporary reprieve from inter-Korean tensions. Moreover, in what is believed to be Kim Jong-un’s first face-to-face contact with South Korean officials, South Korea’s top national security official and spy chief met the North Korean leader in Pyongyang just yesterday. Optimists assert that this outbreak of sporting goodwill could result in an opening for an eventual peaceful settlement. However, appeals to a sense of pan-Korean identity during the Pyeongchang Winter Olympics are always likely to run up against the realities of economics and entrenched social attitudes at some point. Given the financial costs of, and popular opinion toward ending the division of the Korean Peninsula, it will take a lot more than playing upon a common sense of Korean ethnic nationalism to make it happen. The Koreans participating in the Winter Olympics came together during the opening ceremony under a flag representing a unified Korea. This display of ethnic nationalism along with an apparent thawing of Inter-Korean relations does not indicate an increased likelihood for Korean reunification. The possibility of reunification remains low because the most likely path to unity is not viable in the short term and the attitudes of South Koreans towards reunification are increasingly ambivalent. Germany: Negative Precedent | Germany’s reunification in the 1990s was an example of unification by absorption. For South Korea, the economic cost of the German experience changed the country’s view of reunification. As the larger and more economically prosperous Korea, shouldering the costs of rebuilding would surely fall on Seoul, just as it did on the former West Germany. In the first twenty years of German unification (1990-2010), transfers from west to east in Germany amounted to $1.9 trillion. Reunification costs for Korea are estimated to be about $3 trillion. Facing this reality, Seoul adopted a policy of unification by consensus, which remains the most likely path to unification. The policy was adopted to reduce the costs that unifying would incur; the strategy of Seoul’s liberal governments which governed from 1998-2008 was to delay unification while seeking to reduce the long-run costs. This was the Sunshine Policy. The conservative administrations which were in power from 2008-2017 took a more positive view of reunification. But, as North Korea’s nuclear capability increased, so did the likelihood that unification by consensus would not happen. In a speech last year, South Korean President Moon Jae-in reiterated a desire for unification by consensus while also highlighting the need for North Korean denuclearization. There will be no movement towards reunification as long as the Kim regime keeps its nuclear ambitions. Pyongyang has indicated that its nuclear program is not negotiable. From North Korea’s perspective, nuclear weapons serve as a deterrent and strengthen the security of the Kim regime. This perspective increases the likelihood that the Korean peninsula will remain divided. Reunification remains unlikely because Seoul’s preferred policy of unification by consensus is being rebuffed by Pyongyang’s ongoing quest to be a nuclear power. Public Opinion: Evolving in the Opposite Direction | South Korean public opinion towards reunification is evolving. Results from Seoul National University’s Institute for Peace and Unification Studies’ 2017 Unification Perception Survey show that while a majority of South Koreans still support unification (53.8%), some are not sure about it (24.1%) and others are not in favor of it (22.1%). Concerning the conditions of reunification, the strongest response among all age groups was that it would be best to do when the situation matures. Examining attitudes by age cohorts indicate relevant trends regarding South Korea’s future attitude towards reunification. Less than half of Koreans in their twenties and thirties think there is even a need for reunification. No more than 41.4% expressed the belief that there is a need for it in both age groups from 2015-2017. This demonstrates that reunification has become less popular among the younger generation. A tipping point is coming in the near future as the generation of Korean people who last experienced an undivided peninsula and lived through the Korean War will increasingly diminish in the decade of the 2020s. In South Korea, the country that would bear the financial cost of reunification, concern about the issue is declining. 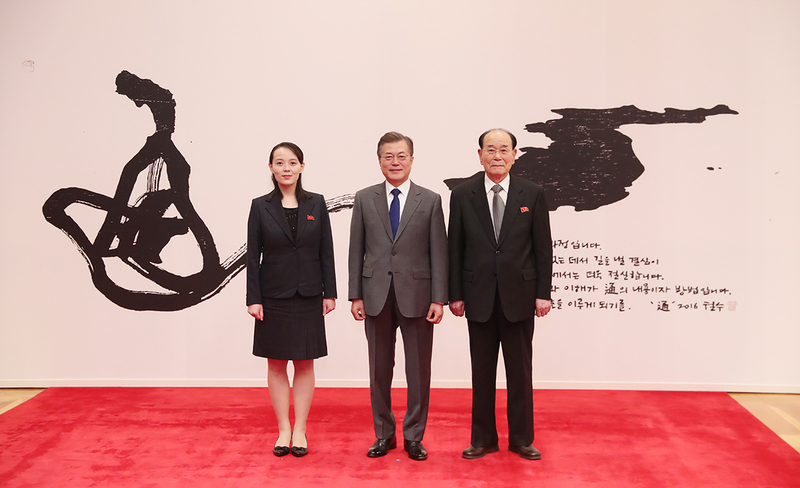 In the future, this younger generation that does not prioritize Korean reunification will take on an increased leadership role in South Korean society and their policy preferences will be reflected to a greater extent. Despite outward appearances at the Olympics and the potential of the Korean leaders to meet in the near future, Korean reunification remains very unlikely. While there is a desire for unification because of ethnic nationalism, there is no viable path towards that goal at present. Pyongyang’s nuclear aspirations were not part of negotiations for the Olympics and are unlikely to be discussed in forthcoming Inter-Korean talks. Support for reunification among South Koreans remains strongest in the older generations. More preference is given to waiting for conditions to change and an increasing number of younger South Koreans are indifferent to the issue. The impending demographic shift coupled with the unpredictable nature of Inter-Korean relations means that it is reasonable to conclude that there will be no Korean reunification in the near future.